Video: 20K Strong for #GreenTheRez! 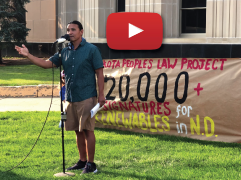 Two weeks ago, our Lakota Law team rallied on the steps of the Capitol Building in Bismarck and issued the call for North and South Dakota to embrace renewable energy. Joined by a host of eloquent speakers, we made the call for a more responsible way of life. It’s time for the Dakotas to get off of coal and go green. We’re doing it at Standing Rock — and we invite the surrounding states to follow our lead. Chase Iron Eyes joined me in delivering 20,000 signatures from supporters like you to our government leaders, petitioning them to adopt standards requiring our utility companies to provide at least 50 percent renewable energy by 2030. We’ll keep confronting pipelines and protecting our right to protest in a time when our liberties are under attack! But there are two sides to the environmental coin, and it’s equally important that we focus on permanent solutions. That’s why we’re asking you to join us and support our efforts to #GreenTheRez. Watch our new video and please give to help us GO GREEN. The same weekend as our rally, our partners at the Massachusetts Institute of Technology worked with us to host a second energy summit at Standing Rock. More than 100 sustainability experts and advocates from all over the country came to hear our vision and help us move forward into a green future. We’ve completed energy assessments on half our districts at Standing Rock, and we’ve written proposals to reduce the tribe’s carbon footprint and reroute funds to much-needed social programs. One priority project, a building in Long Soldier District, will save the tribe $1.5 million dollars if we install new lighting and solar there. Ultimately, our plan is to create a microgrid to give ourselves true energy independence. Standing Rock is ranked fifth in the nation among tribal nations for wind and solar potential. Our moment is now. Please stay with us as we press ahead toward a brighter future for our children, and for all the Earth’s children. Pilamaya — Thank you for your friendship and your support. P.S. As Keystone XL threatens our sister oyate, Cheyenne River — home of Lakota Law organizer Madonna Thunder Hawk — we’re paying close attention. #NoKXL! We’re equally focused on creating sustainable solutions for Standing Rock to serve as a model for North and South Dakota and for tribal nations around the country. Please support us as we turn our attention to bringing clean energy to all. 20,000 signatures is a great start; now we must raise $25,000 to complete assessments and create a master plan for the project. Can you help? “The leader of the Indigenous Guajajara people in the Brazilian Amazon is believed to have been murdered by illegal loggers. 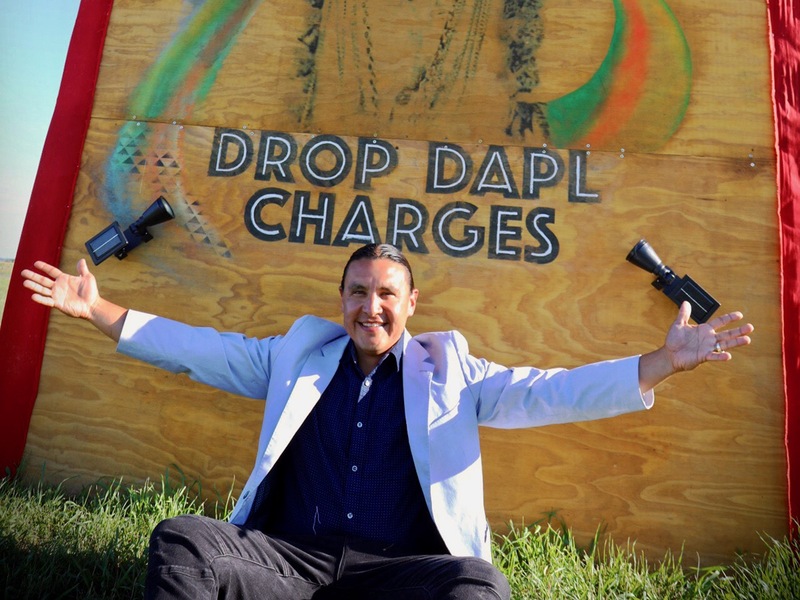 Daniel Sheehan gives a legal update about the upcoming Chase Iron Eyes court case, with a short intro by Chase.